This store bought costume for adults entered our 2011 Halloween Costume Contest. 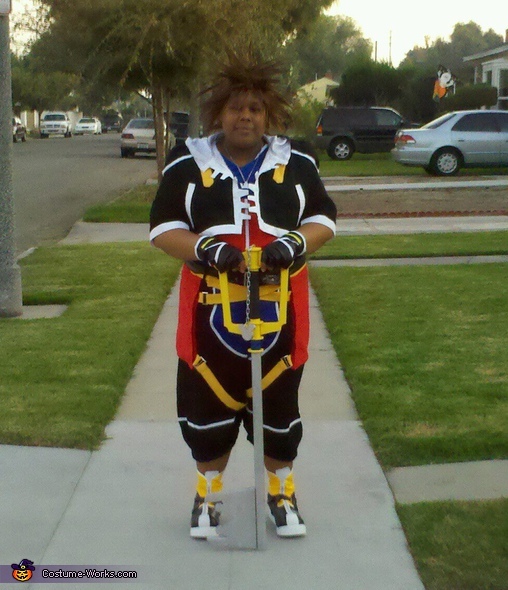 I decided to wear this costume because it's based off my favorite video game character named Sora. Sora is the protagonist of the Disney game Kingdom Hearts. I bought the costume, shoes, keyblade, necklace, and wig all off of ebay.